The first comment for this months box is the lightness of feel and how rattling the box was. Mine arrived with very few of the shredded worms which they use a padding which makes me glad there were no glass items in the box. As always with these boxes. They are a risk and some months you will get amazing boxes and other months you will think Meh!!! This month it's a bit Meh. Burt's Bees Lip Shine - £6.99 Full Size Product. I like the smell, I'm not keen on the texture and I don't really wear lip glosses that much. I've put it in my handbag and we'll see. I don't think I'd pay £6.99 for a lipgloss I'd rather have had a Burt's Bees Lip Balm. Monu Refining Facial Oil - £26 /100ml (30ml Sample size. Approx £7.80) This is not something I'd buy. I have oily /combination skin. This does say it's for combination skin and I have used it twice. It seems nice but not really something that is going to win me over long term. H20+ Oil free hydrating treatment - This is an M&S product and costs £27.50 / 50ml (8ml Sample aprox £4.40) I like the sound of this product. I'm a bit gutted about the size of the sample. £27.50 is a lot to pay for the full size so I'd like to be able to get a few tries out of a sample. 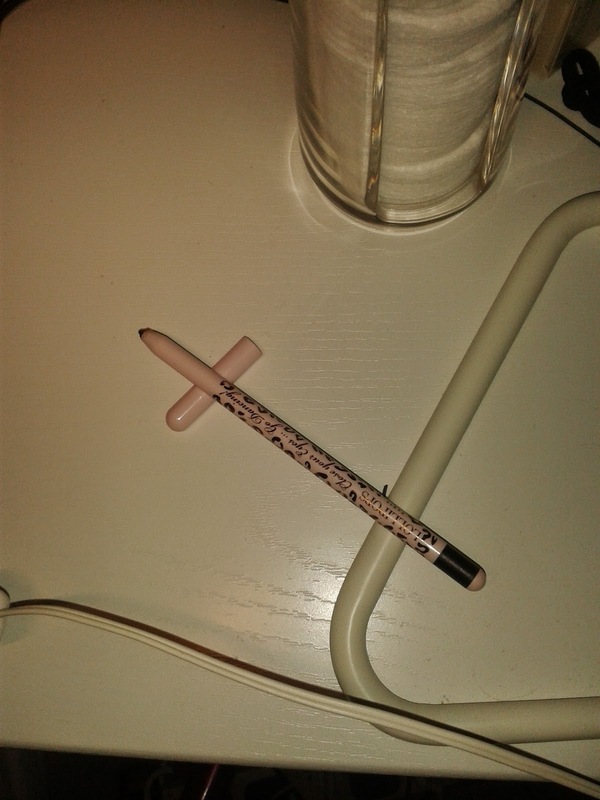 Lollypop black eyeliner - 14 Euro. Another full size product and this was the sneak preveiw from last month. I'm a bit underwhelmed by this. 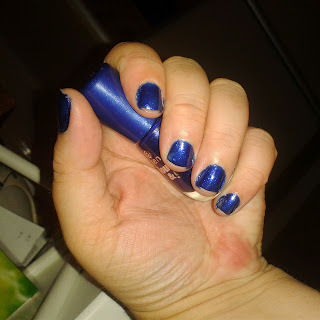 it's in a very pretty tube but it's very easy to smudge and i'm not really a fan. I will give it a try but I'm not holding out much hope of liking it. Over all a little disappointing. It covered the money I paid but it's not really my kind of products this month. I have high hopes for the December box, Christmas boxes are usually good but I haven't ever had one before. Do you get Glossy Boxes? Have you had a December box before? Did you get anything different to me? Happy Birthday to you, Happy birthday to you, Happy Birthday Dear Seeing Spots Happy Birthday to you!!! It's hard for me to really confirm when the true anniversary of seeing spots is as I was blogging under my old She's Electric blog for a while from around July and then moved over to a new account 25th November 2012 but still under She's Electric then I think it was a couple of months later I became Seeing Spots. I decided to go by the date I first posted on this account. Makes it easier for me that way. I can't believe how things have changed in the last two years. I've met so many wonderful people, my self confidence has grown so much, I've been to some truly fantastic events and made some amazing friendships. 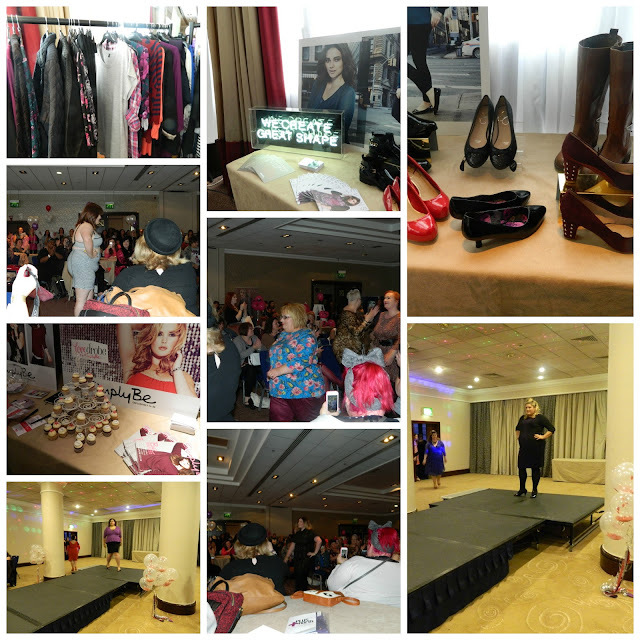 I've also been to a few events run by PR's for various companies. I will try and come back to link to some of these. 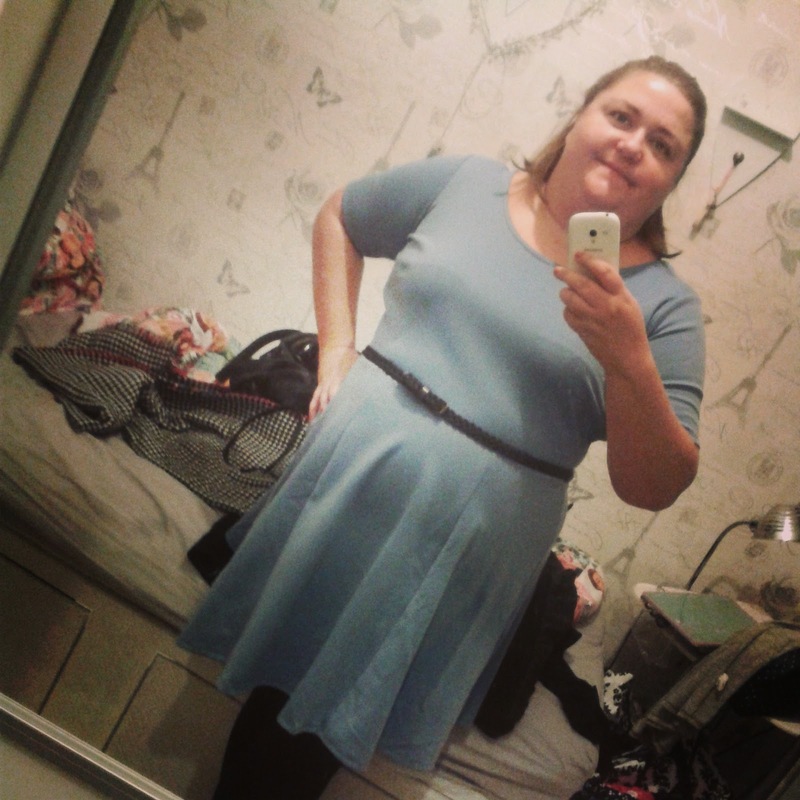 I started this blog as a hangover to a weight loss blog that wasn't really going very well. I was gaining weight and wasn't very motivated but essentially I used to take OOTD weekly and compare them for weight change. But rather than discuss what I was wearing I mentioned my weight. 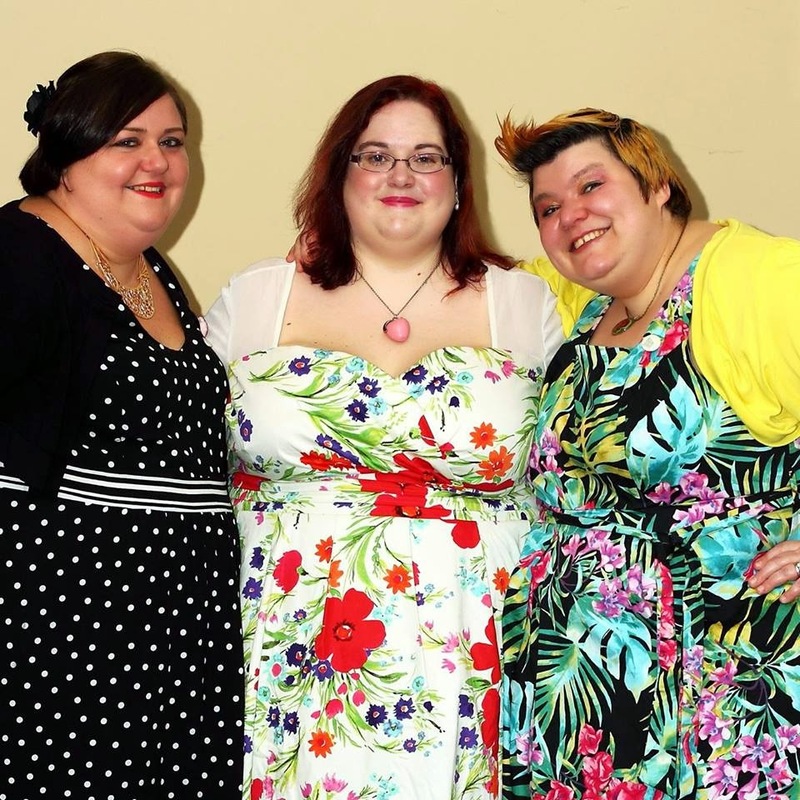 When I discovered Plus Size blogs It really inspired me. 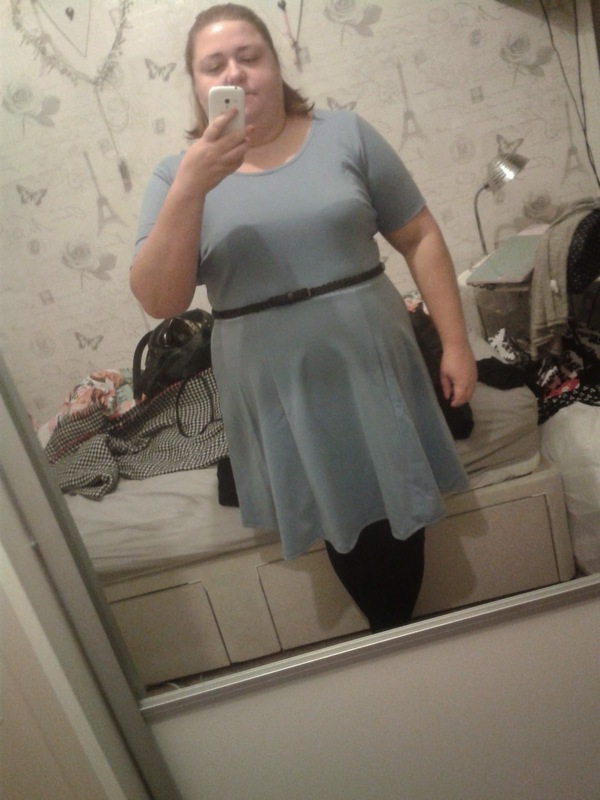 I hid all the weight related posts and did fashion posts. 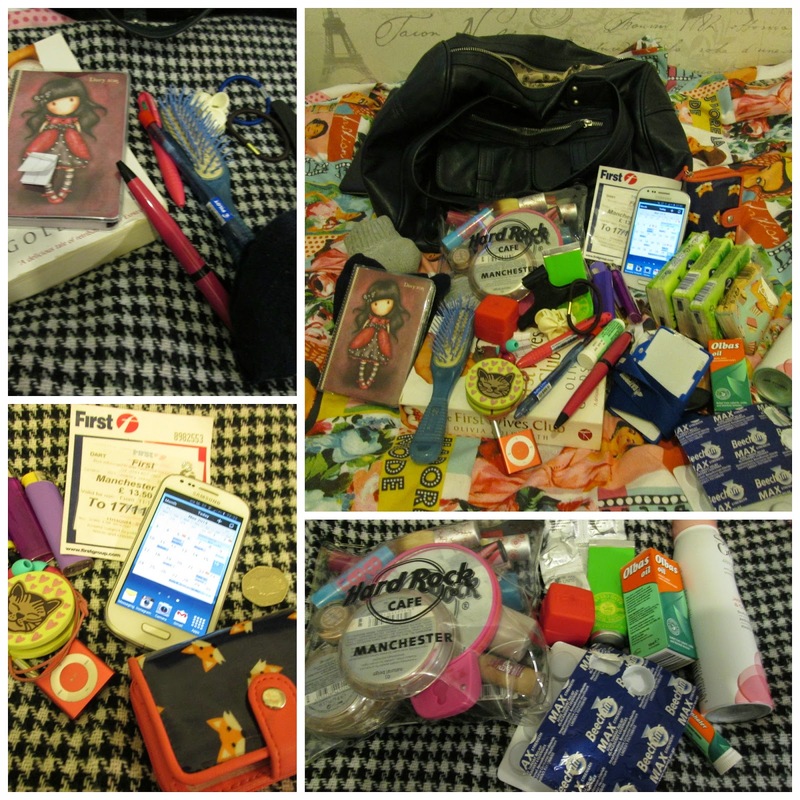 I also talked about things I'd bought and places I went. I've made some amazing friends and while we don't see a lot of each other we have a really good time when we do. I had planned to spend loads of time on this post and try and do a full highlights but life has got in the way and that might be one of the biggest lessons I've learned. Planning and scheduling for me are key but if life gets in the way sometimes you have to let it. 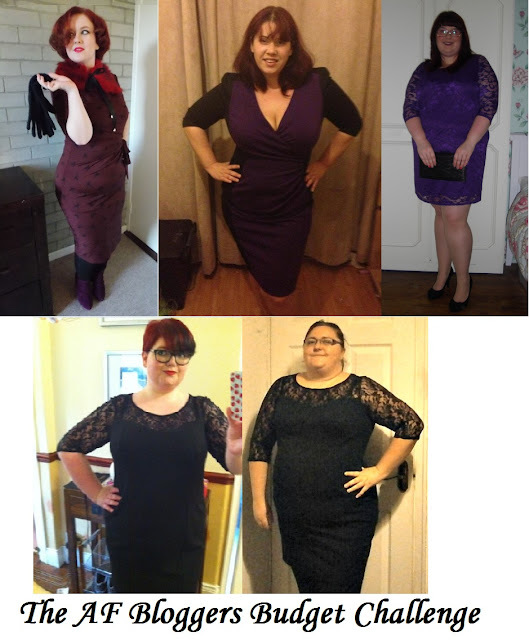 I've had an amazing two years on this blog and I'm hoping 2015 will bring many more surprises and opportunities. I have a few things planned in for the coming weeks Including some events and I've got more beauty boxes to tell you about. 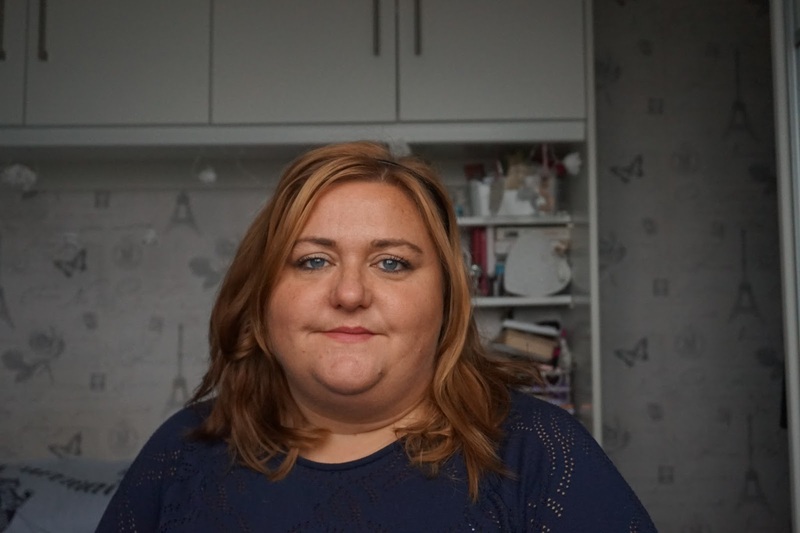 I'm also going to be meeting up with some of the other plus size bloggers on a shopping trip in December and Christmas is just round the corner. I want to publish this how it is but I'm going to try and come back to it and expand on my two years. - 28/11/14 I've updated it a bit. I still have more to say so will try and come back again. 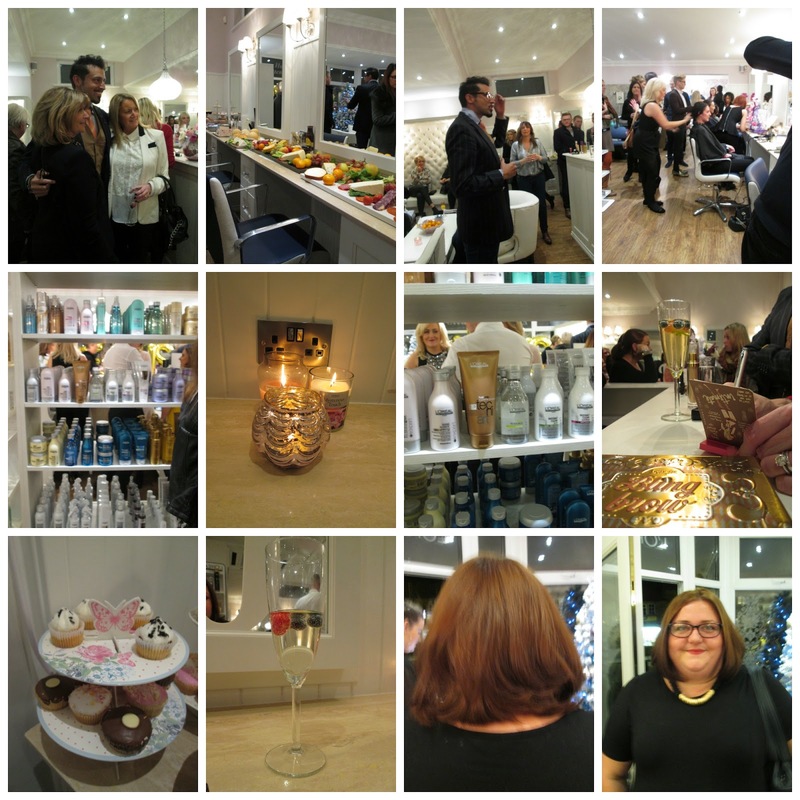 On Wednesday I went to the launch night of a new salon which has opened in Lydgate. I got a lovely warm welcome by Jo herself and then taken on a tour by Steph from the PR Company. The salon has been done really well. It has a really bright and welcoming feeling and there is so much space. While I was having my first glass of proccesco Jo asked if one of her team could do something with my hair. I had a consultation of what I could do with my hair. Layers were suggested to make it lighter but I am saying no to layers for the immediate future. I've spent to many years agreeing to layers and regretting them. I will be booking in for a trim and tidy up very soon. I was then treated to a blow wave, it was really odd having my hair washed in the middle of the shop while people were milling round drinking wine and eating ice cream. It was a lovely treat having my hair washed and styled. He (John I think - I'm really sorry I'm so bad with names) talked me through what he was doing and dried and kind of curled it with a round brush to give it more body and to make it look a bit different. I also got loads of compliments after on how glossy my hair looked and how nice it looks. I walked in with it up in a bobble and my trusty 8 grips! Armand Beasley was also there and gave a little talk about his best beauty buys from Avon products to Creme De La Mer and everything in between. I have met him before at Selfridges and he said I looked familiar and I'd also seen him at City Spa but didn't realise it was him. It was lovely to be able to chat to him about products in an informal setting and He will be working with Jo on some projects so I'll be keeping watch for details of that. I thought I'd share a few of the picture from the Hen Do weekend in York. 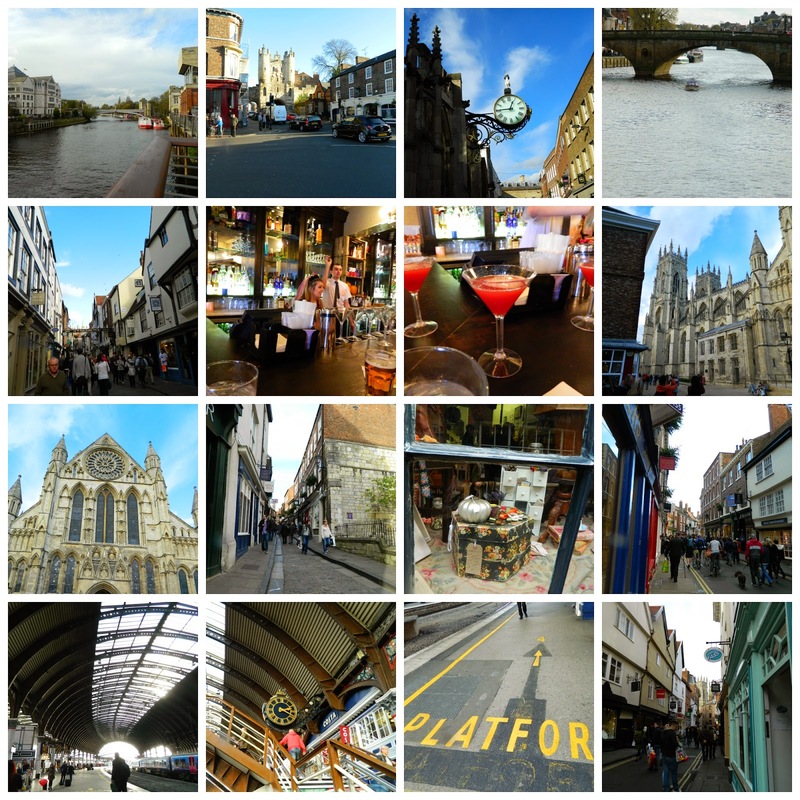 I had two camera's with me so they might seem a bit disjointed in the collages. Friday we travelled up by train, spent a couple of hours in the pub attached to the hotel before going for a meal at Piccalino's. In Piccolino's I had calamari and ham and mushroom pizza. The Calamari was amazing but the pizza was a bit under cooked (Sad as they had a proper pizza oven) and the tomato sauce tasted a bit funky. 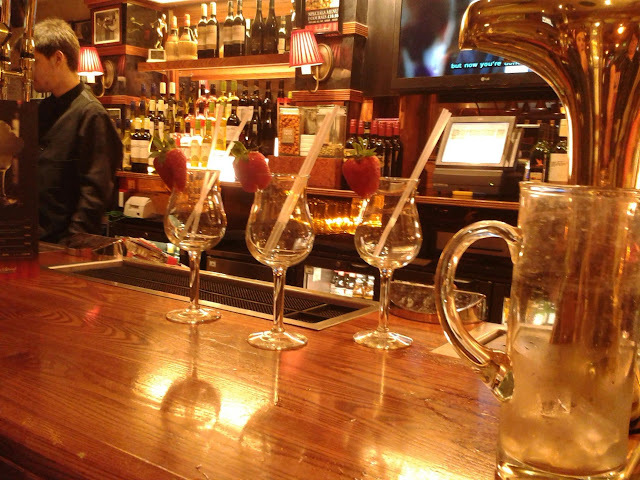 It's also really expensive I also had one peroni and half a bottle of wine and it was £35 each. They had provided us with a private room and it was nice to be away from the main dining room but It's not somewhere I'd go back to. 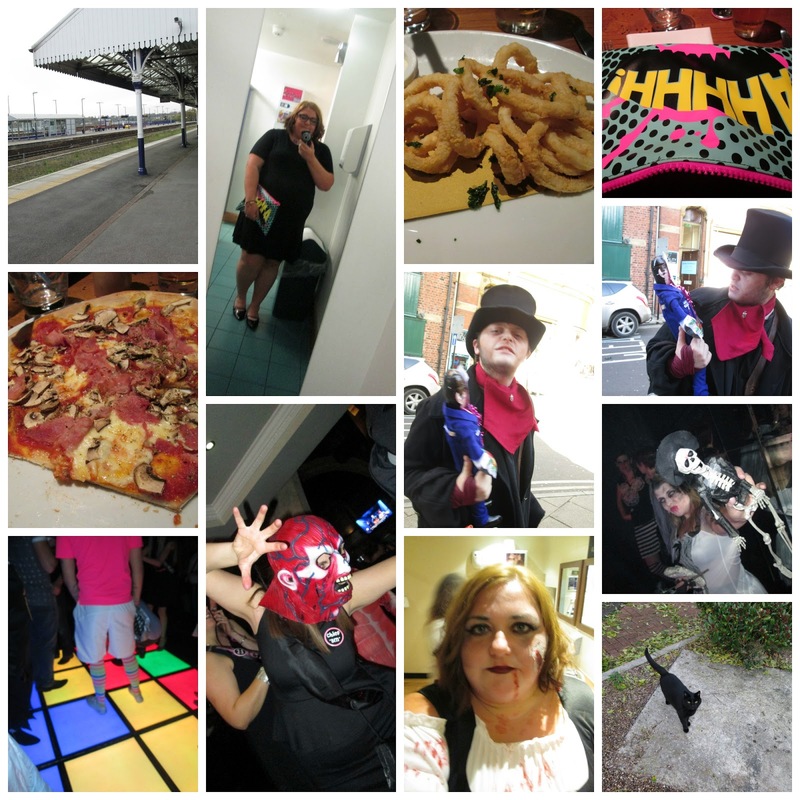 We went in a couple of bars and it was good seeing everyone in Fancy Dress for Halloween, we didn't dress up as the restaurant had said they wouldn't accept us in fancy dress which was a shame to be somewhere on Halloween and not dress up. BUT I get why the chief bridesmaid didn't want to change the plan again. Saturday we went to an Irish bar for breakfast and apart from them know knowing what a flat white was despite it being in their menu the food was fab. Just what I needed to set me up for a trip to the Dungeons. I'm such a wuss but as most people seemed to be going I went and it was quite fun. Lots of screaming and lights off moments but glad I braved it. The Hen then wanted a cream tea, as i'd opted for the big breakfast and was a bit flustered after the dungeons I opted out and went for a wander round the shops before meeting up with them all again at Revolution for a Cocktail Masterclass. 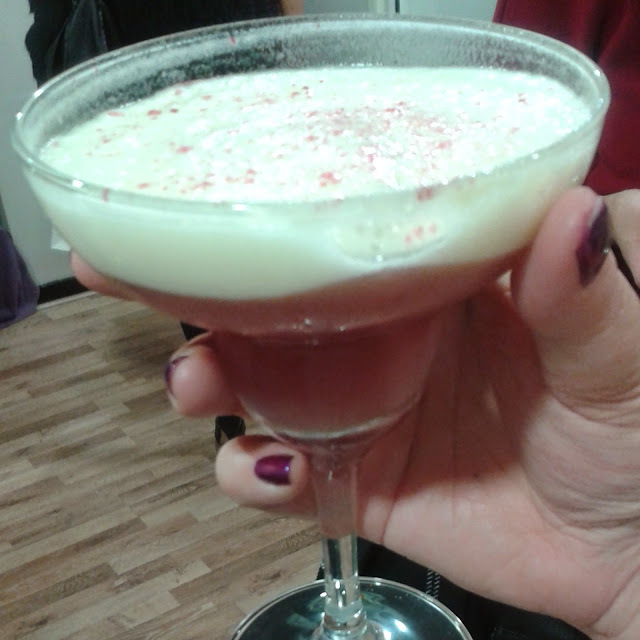 It was really fun, a few people got a go at making the trail cocktails and we could all taste them, they also had some snacks to complement these cocktails then we got a chance to make one of three cockatails to have as our own drink. After the class we had our own seating area to have some food which was included in the price. I think it was £25 each and it wasn't bad value and it was good fun. Saturday night we went out in Halloween fancy dress, I was a bit nervous people wouldn't make a massive effort but everyone really had done brilliantly. We did get a few comments it's not halloween etc which was annoying but after a few drinks and lots of dancing we headed back to the hotel. Sunday most people where up and out but a couple of us stayed round for a bit. We went in the Golden Fleece pub which is meant to be the most haunted in York (not sure if it's the UK) I was more worried about it's sheep connections. Someone was touching my shoulder from the moment we walked in, I didn't like it. I don't really believe all that stuff but i've had it before where someone has been stood on my shoulder and it's really unnerving. We wandered round and the Hen got a couple of gifts for the wedding party in a little shop on the Shambles. To say it was the end of October beginning of November we had cracking weather. I didn't wear a coat all weekend. I know these posts are done a lot but I really enjoy reading them so as I've just swapped my handbags over I thought I'd show you what I'm carrying round with me. As you can see it seems like there is quite a lot of stuff but I feel like this is not that much compared to what I sometimes carry round. The bag is from Zara. I've had it for a while and it's a hand me down from my mum. The lighting in the pictures is awful but the bag is a dark Navy colour. In some lights it looks green in others it has a brown or grey tinge to it but it is definitely navy. The First Wives Club Novel but Olivia Goldsmith - I'm reading this for the twitter book club This will only be the second book i've managed. 2015 Diary - There is no escaping it 2015 is almost here. This one does have a planner for December as well and I've got things booked in to August 2015 so I can justify carrying it round. 3 Pens - I either have no pens or too many pens. Hand cream - This is an almost empty I really like the texture but the smell is a bit over whelming for me. Beechams version of strepsils - My throat isn't really sore but I'm coughing a lot so with that my throat has been a bit tender. Got these more as a preventative measure. I hope I haven't missed anything. Sorry haven't really listed brands of things. if you want more info on anything give me a shout. Would you like a what's in my Work Makeup bag post? I want to start by saying how good are the accessories in Primark at the moment? I could have spent £100 easily today. They had about 3 or 4 packs of midi / regular ring packs all under £3. This pack was my favourite. The purple and blue stones sold the pack to me. I love wearing rings but as I have chubby fingers I often struggle with multipack rings especially when they are attached to the plastic card. With this pack all the rings fit me. Maybe not on the fingers they are intended for as I have weird thumbs but I can at least wear them all. I can't wait to wear these this week. I might even wear a couple for the wedding i'm going to next weekend. My first ever blog was called my mind wanders aimlessly and I thought it might be nice to use it as a title for shall we call a mind dump post. It's not about fashion, beauty or lifestyle. It will be blahhhh. The good the bad and the ugly. Let's start with a good. Ok Good is an understatement and a half. 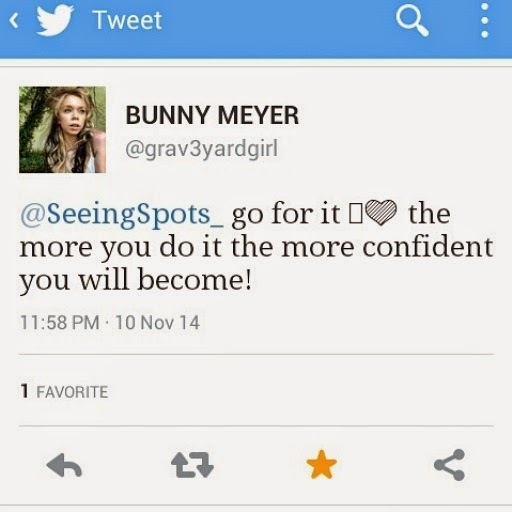 I replied to a tweet asking for youtube channels to watch and I said a few including Bunny Meyer AKA Grav3yardgirl and she tweeted me back! This woman has 4 MILLION you tube followers as well as countless millions on all her social media and she tweeted me!! Total fan girl moment over here! Love you Bunny!! The bad - I think I want a new job! There i've said it. I love my job but I don't think it's right any more. I don't talk about my real life work much but i've started to update my CV and I even found myself googling jobs last night! We have a really long notice period which is putting me off but we'll see, Maybe next year I'll get a new job?! I've bought a mid / dark brown hair dye and I think I will be using that this weekend. I'm also thinking of getting a thick fringe cut back in. Thoughts? I always cut my hair, then grow it back. Have a fringe, grow it out but I'm thinking it might give me a bit of a change while I grow the back of my hair? This weekend I'm going to start writing my best of 2014 post to hopefully go live 1st Jan 2015. I also haven't added any memories to my memory jar since June or July so I'm going to have to try and remember some things to put in it. Would you be interested in a post when I open them all up? I've also really got into painting my nails and while I'm so bad at painting them I don't think they are worthy of a NOTD post I thought i'd share a few of the pictures I've taken on instagram. 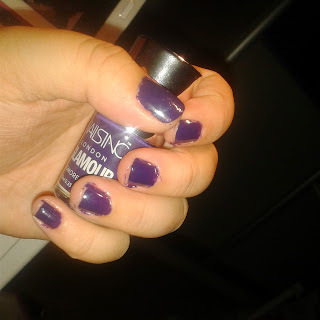 All Essence polishes apart from the Nails Inc one I got free in Glamour magazine. Which colour do you like best? I have a few exciting things coming up over the next couple of weeks and we're heading close to Christmas. 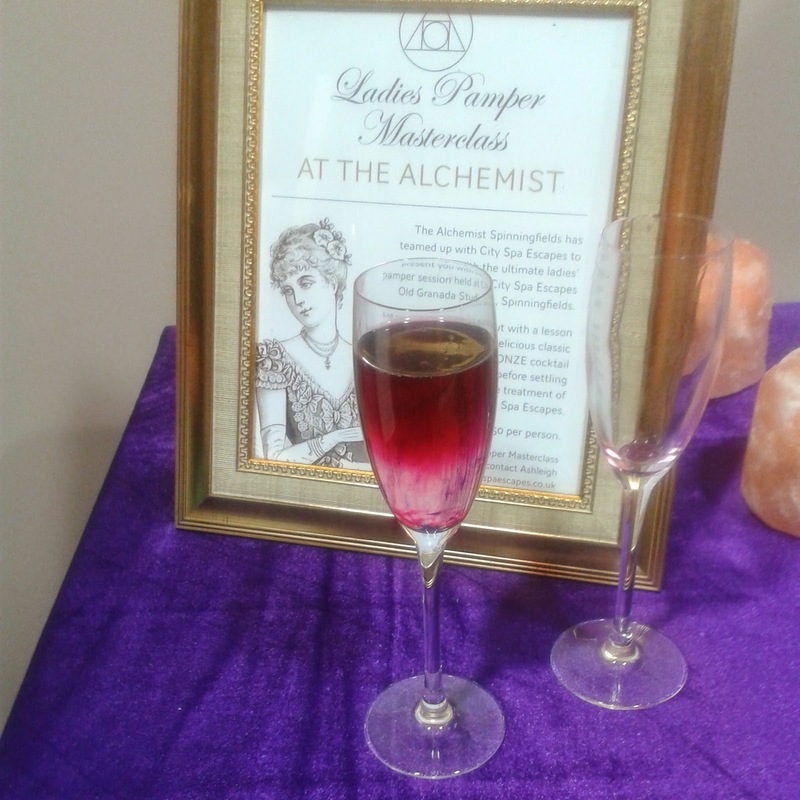 Yesterday I went to an Event in Manchester so I'll be blogging about that in the coming days. Next weekend I'm off to a wedding. 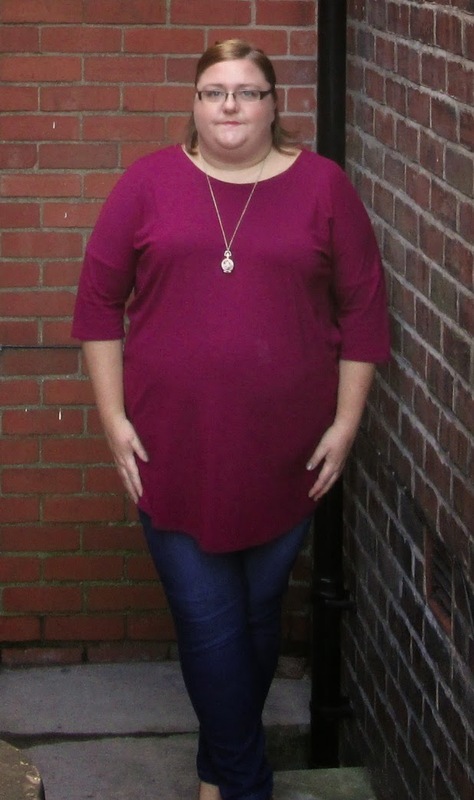 I have a Christmas Event invite for the end of the month and the first weekend in December I'm heading over to Sheffield for a fun filled shopping day with some other Plus Size Bloggers. It will be so nice to meet up with people and just be me. I have two giveaways going on at the moment. I love being able to give something back to the people who read my little blog. One ends tonight at midnight so don't forget to enter that one and the other still has a couple of weeks left on it. I'm already making plans to be blog organised in 2015 and have even bought a new diary (My currently personal planner runs to May 15 but I felt the need for a whole year diary) I also came across this editorial spreadsheet from Young Adult Money Someone had shared it in one of the blogging groups on Facebook and I love the idea of it. 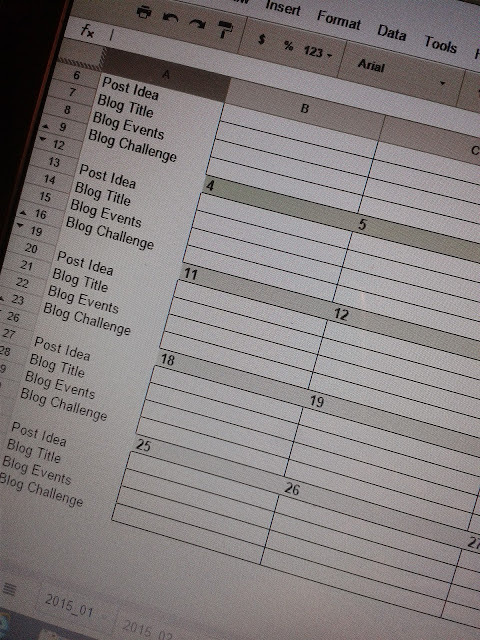 I try and write in my diary what i'll be posting but I like the idea of having a spreadsheet as well. I've made a copy and adapted it slightly to suit me and i'm sure as the year goes on it will be a work on progress or abandoned as so many of my good intentions are. I have post Idea - Get an idea and decide it suits a certain date. Blog challenges - In some ways this should sit in the blog post bit, but as we all know i'm been slack with challenges so going to give them their own space and we'll see if we can fit them in. It's red cup season already. 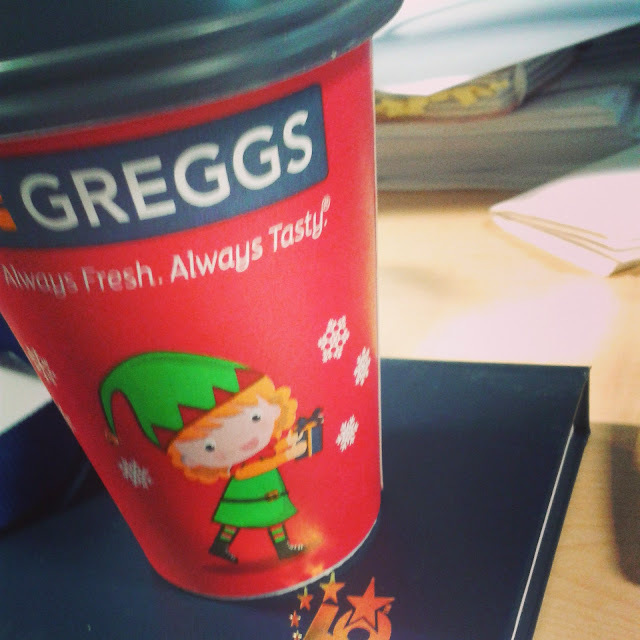 So far I've had a festive cup from Gregg. It didn't have a festive drink inside but sometimes it ok to accept a christmas cup and move on in life. Next up was a Maccy D's Christmas cup and christmassy drink. 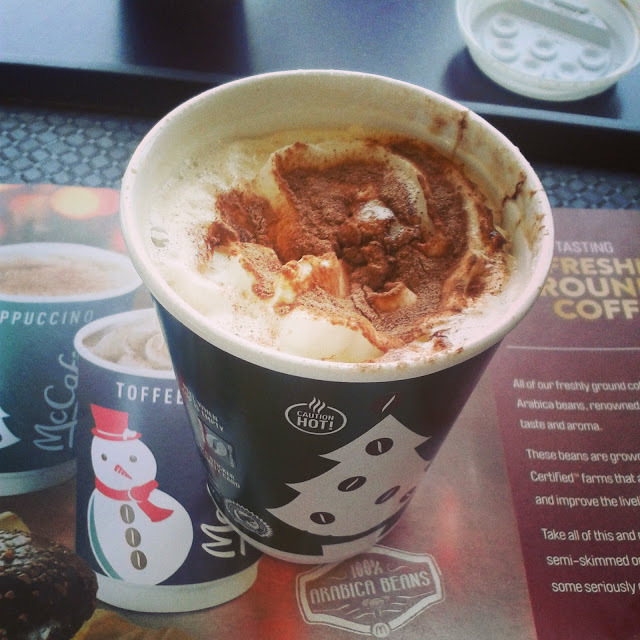 Toffee Latte.I did like this but it was very sweet and far too milky for me but did get me humming jingle bells, batman smells, robin flew away! I Don't think I've ever had a starbucks red cup or one of the Costa various Christmas character cups as those are the two coffee places I'd stay in and get a real cup from. As I am actually enjoying the spirit of off this Christmas maybe I'll make and exception. It'll be worth it for an Instagram picture at least! It's super hero day at work today as Children in Need will be on the telebox tonight. I'm writing this in advance so don't know if i will be wearing anything super hero. My choices is some super girl socks or a batman t-shirt but I don't think anyone on my team is joining in and if you do you'll have your pic in the newsletter sooooo I think I'll just wear normal friday mufti. What do you think of these kinds of posts? should I do one again. Just general ramblings? I had a bit of giddy five minuets at the Boots Seventeen counter the other day. With the Three for Two offer it would have been rude not to buy three things. 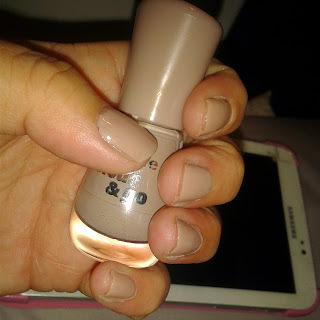 It's a lovely colour and a really nice creamy texture, I'm hoping to get a lot of wear out of it this autumn and winter time. I want to say the colour is called Knockout but I can't remember and it doesn't have it written on it. It also doesn't really have a smell. I do have a cold so I might have one that I just can't smell. The item that made me buy things was the Stay Pout Rule Breaker lipstick. 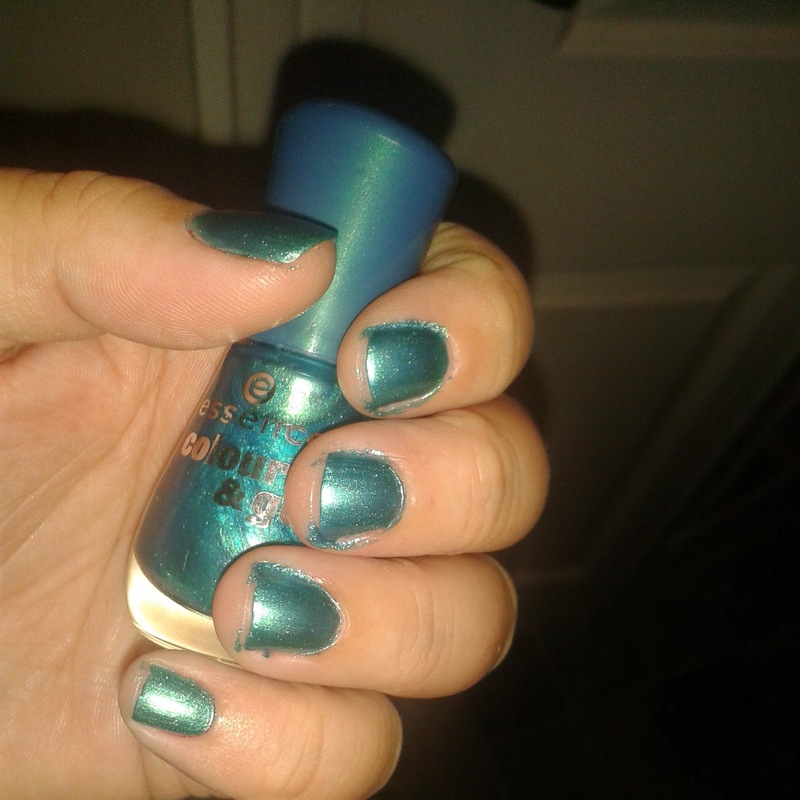 It was actually the packaging more than everything but I think the colour is what i've been looking for. 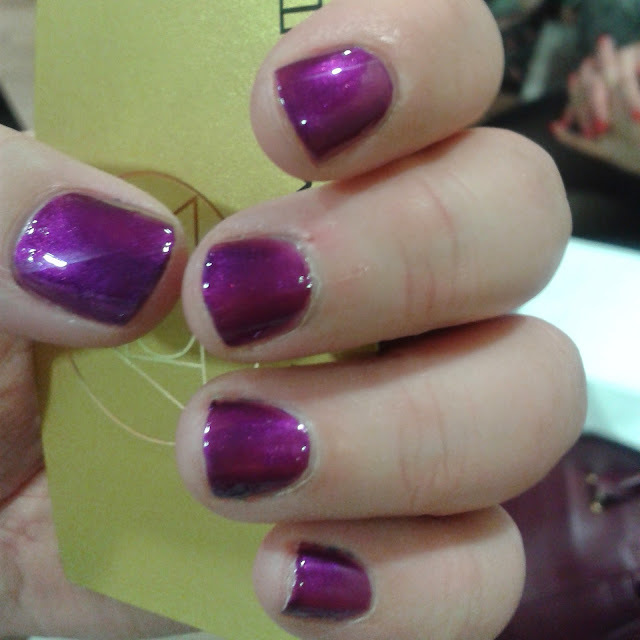 It's a deep berry colour and it does seem to last quite well on me. The only thing I don't like is the smell. It's very plasticy. I think for almost £5 they could have stuck a flavouring in there. My final item, well I just don't know what I make of it. I like the packaging, I like the concept. I think I've bought the wrong colour for me is the Stamp on Blusher. I have only used this once so haven't given it a fair chance but I think it's a bit of a gimmick. The blush is in the lid and there is a sponge on a spring in the other side. I also like that it has a mirror on the end. I used to love number seventeen and overall I think it really is a good brand. I think I might have been sucked in by some gimmicks but I think that I will use the lipstick and lip crayon. The blusher will be filed under what was I thinking! I got myself some new tog from Tesco. My local store has quite a large True section and there was also a whole rail of sale items. I got this pair of jeans which are super soft and almost like jeggins but have a side zip and button. They had been reduced to £14. I also got some Jeggins for £8 as well as two tops. The berry one and the same one in Black. 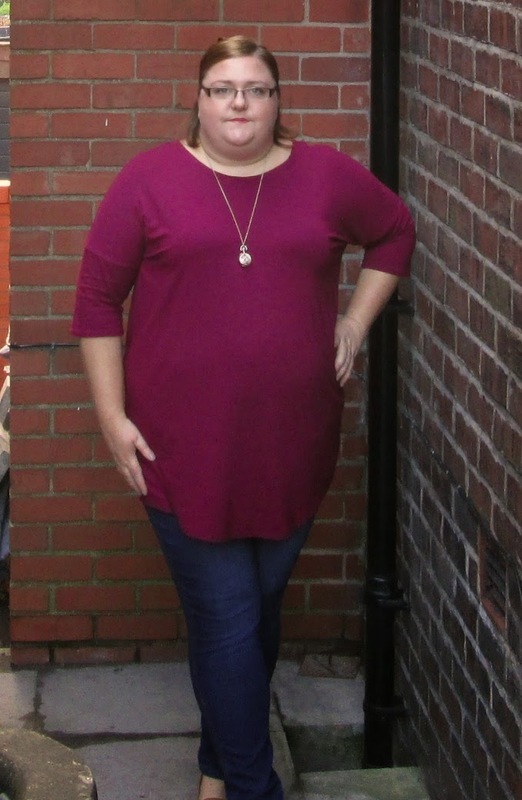 I really like this look as Autumn casual and I think I'll be wearing it on Friday to work and most weekends. My shoes which you can't quite see were also bargains from Debenhams £10.50 instead of £35. They are tan loafer wedges. They don't look the most fashionable but they are really comfy and I like the look with jeans. 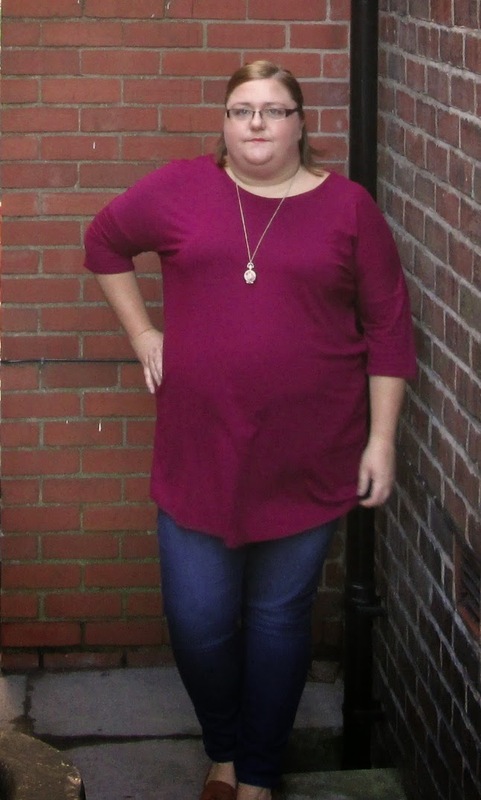 What do you think of my Autumnal look? All I need now is a drink in a red cup. I'm not a big buyer of magazines. Every now and again I will get one of the cheap magazines with lots of puzzles and real like stories. I will also buy fashion magazines when there is a freebie to be had. This Month I got Glamour Magazine for £2 and it came with a Nails Inc polish. There are a few colours to chose from. A couple of days laterI spotted Elle had the new(ish) Benefit They're real liner. I've really fancied trying this for a while but have been put off by one the cost and two the mixed reviews i've read. I've tried it a few times and I really like it. I've found it really easy to use (I takes a bit of practice and I have watched a lot of YouTube video's before I applied it) I also didn't find it too hard to remove. My usually face washing routine got rid of it. I got a purple which I really love. It's really shiny but doesn't have sparkles in it so it's a flat colour but it's not matt. Am I explaining this well? I've put in an instagram picture I took to try and illustrate what I mean. Over all I'm impressed and £6 well spent. I have actually read the Glamour Magazine but the Elle well after turning a good 15 pages of adverts before getting to the contents page followed by loads more before the first article was a really switch off for me. Have you seen any other free gifts with purchase this month? Have you tried these and what dod you think?